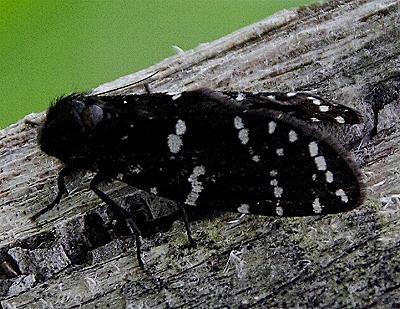 The male adult moth of this species has dark brown forewings each with white spots along the costa and around the margin, and with two broken white transverse bands. The hindwings are dark brown. The wingspan is about 2 cms. Series 2, Volume 7, Part 4 (1892), pp. 489-490, No. 7.